(Left) Stretched puff in 2009. 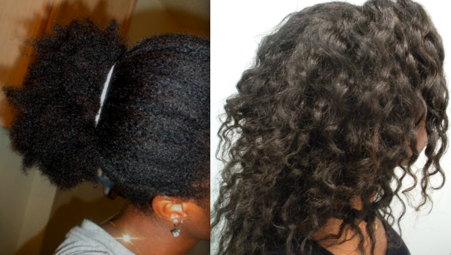 (Right) Braid-out on flat-ironed hair in mid-2012. Show more length. I'm officially going the heat route because I want to enjoy my length more. February will make it five years that I've been natural, and a huge majority of that time, my hair has looked shoulder-length (and sometimes, neck-length) because of major shrinkage. I didn't have a problem with that, but I'm just ready to enjoy (and show) my length now. From January through February, I will wear box braid extensions again. Then from February through December, I plan to heat style monthly (or bi-monthly) and wear a mix of jumbo twists and braidout updos. This will obviously impact the running of my usual 3in6 Challenge ... more on this later. Maintenance over length. Up until now, I've been focused on growing my hair to it's maximum length potential. After grazing waist-length for some time, I believe that I'm approaching (or have reached) my terminal length. Also, after almost five years of being natural, I've grown less obsessed with length. That being said, I'm going into this heat routine knowing that length retention and heat usage may not mix well. So, 2013 will be more about maintaining the length that I do have. If I can also add to my length, that will be great, but it is not my priority. Maintaining my kinks. I want to make it clear that I am not going into this heat routine with the intention of changing my coil pattern. I love my "kinks" and still want to wear them from time to time next year. The challenge will be using heat without altering my pattern too much. 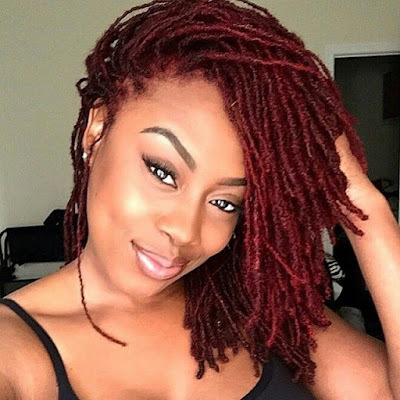 Do you have any hair plans or resolutions for the New Year? I just want my hair to grow. It's been two years and it's still super short. I wonder what's hindering it's growth. Your hair looks really good. Keep up the progress. Maybe you can re-evaluate your detangling routine or how you protective style (if you are). I know that I lose a lot of length that way. My goal is it eat healthier, and do more exercises. Also try to get some DC in to see if they actually make a difference.